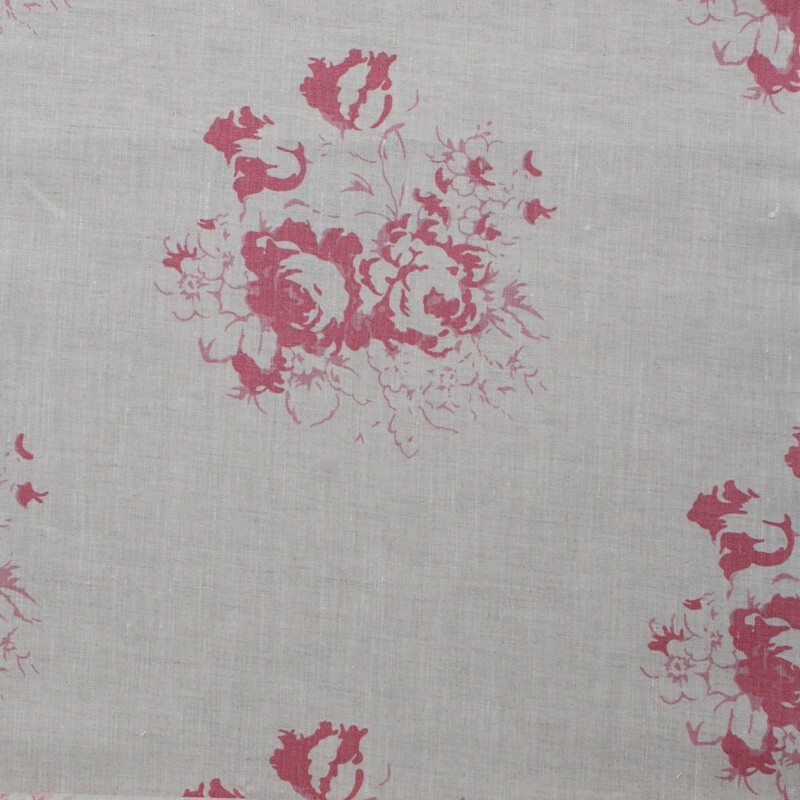 Classic Cabbages & Roses floral print in raspberry pink on natural linen fabric. Reverse side of the cushions are in antique French linen with looped button fasteners. Mother of pearl buttons.